Greek physician Hippocrates of Cos (circa 460-377 B.C. ) is often called the "father of medicine". His contributions to medicine include detailed observations of disease and its effects, and an understanding of how health is often influenced by diet, breakdowns in bodily processes, and the environment. Hippocrates. His contributions to medicine include detailed observations of disease and its effects, and an understanding of how health is often influenced by external factors. Facts about the life of Hippocrates are rare. Some information, however, is consistent. Hippocrates was bom on the island of Cos into a family of doctors. He taught at the widely-regarded medical school on the island and traveled widely throughout ancient Greece and the Mideast giving lectures. Quite famous during his lifetime, Hippocrates died at a fairly old age in Larissa. In his school, Hippocrates tried to separate medical knowledge from myth and superstition. Modern knowledge about Hippocrates' methods comes from the Corpus Hippocratum, a collection of 70 volumes that seems to have been gathered in the great Library of Alexandria around 200 B.C. While few of these books were probably written by Hippocrates himself, they are widely considered to be an expression of his medical teachings and philosophy. The Hippocratic approach to medicine emphasized diet and the clinical examination of biological functions. In his lectures and teachings, Hippocrates noted that the environment can affect health in both positive and negative ways. He also advanced the idea of the "four humors," whereby disease was supposed to result from an imbalance in the body's four important fluids. Hippocrates is credited with writing about preventive medicine. He and his followers were very concerned about preserving health through proper diet and activities, such as exercise and getting enough rest. Hippocrates was not content to simply work on the causes and treatment of disease. He advised medical practitioners to be serious about their profession and have high moral standards. These standards are embodied in what we call the "Hippocratic Oath," which doctors still swear to today. According the Oath, a physician is required to swear to use his knowledge only to save a life, not to take it; not to cause abortion; to maintain a professional relationship with patients; and not to reveal secrets given to him by patients. WOW!! I am truly impressed with this website! As of now I have been fairly interested in the contents of Hippocrates! A truly fascinating person, indeed he is! So amazing how he figured out about the organs in our body! Having done such big research on him i learned that it is always smart to learn how things came to be now! Thats why i am so glad that i decided now to take a part in some way with history, because truly everything here does matter and is a big part of our life today, school projects are always fun to do on ancient greeks. they always seem to have the biggest backgrounds and biggest knowledge eligible to Americans today!!! 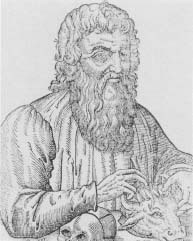 I'm doing a school project on Hippocrates, and he seems really smart, but I need to know artifacts I can use for him. You see, our projuect requires to find 5 artifacts (fake, of course) and to bring them in to represent him. I love your article. It's very informative. I learned a lot about Hippocrates and about why he has been called as the "father of medicine". I also like your picture of Hippocrates. I'm studing about Ancient Greece right now, so, your article is very helpful. Thanks for helping me out! truly hippocrate was a father of medicine .i have learned alot through this his interesting contribution toward pathology. thank alot hippocrate u av influence life of many through ur work. i REALLY ENJOYED IT COOL ARTICLE I THINK I WILL COME AGAIN. YOU GUYS ROCK KEEP DOING WHAT YOU ARE DOING!! I am doing a school project, in which I have to do a science fair of one of Hippocrates's inventions/discovery, but I can't figure out what to do. I know that he invented the Hippocratic Oath and he was the father of medicine, but i need a diagram of one of his inventions. Please help! this really helped me with my school project, Hippocrates is so inspiring. Can you bealive that so early on in history tehy discovered so much!! THANKS i needed that to do my repoert thanks thanks thank thanks!!! Hippocrates.This name should be made known to each and every man. Not only for his teaching but the words used in his statements,itself is enough to inspire us to concentration on the health and wellness. One feels good to learn new things but take a look at HIS books, we come to understand how old is the thing we consider New. Thankyou, this website really helped me a lot with my work! thanks. This website really helped me a lot. The information was really good and I hope you do better. Its an awesome site because i have a history assignment due next week so this has actually really helped me alot about Hippocrates. this will help me a lot on my assignment thanks so much this was very interesting. Thank you, this has really helped my history of medicine" work. Thanks Very informative. Im doing a project on hippocrates. Thanks for this article! It was very informative and helpful. I am doing an assignment on Hippocrates so this is very helpful. Keep up the great work you guys!! Thank you for this lovely information! Very useful for me as in school we are doing a Presentation on significant individuals from Ancient Greece, I chose Hippocrates. Took me a long time to find the right and trustful information on Hippocrates until I found this website.